March Madness is upon us once again! As is tradition, I’ve applied my knowledge of data with my love of hoops to update two March Madness data visualizations in Tableau. These dashboards are largely the same as previous years, only with new data and a few tweaks. I include a little more background on how I built them in my old posts from 2016 and 2017 if you’re curious, but below you’ll find the basic explanation for each dashboard. 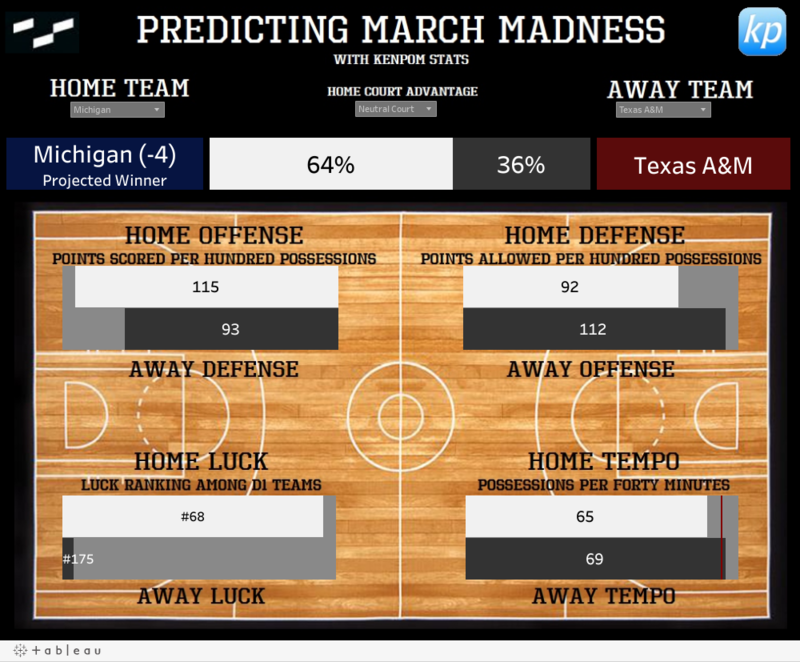 To work this dashboard, all you have to do is plug in any two teams to get their stats and the predicted outcome of that matchup. This viz might come in handy as you fill our your brackets. Beyond updating the data, I gave the dashboard a fresh, mobile look. 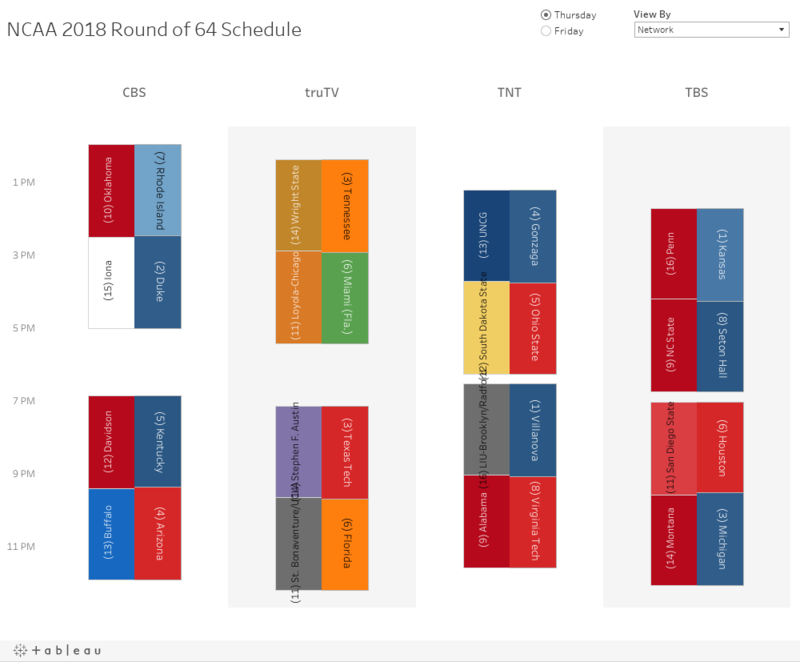 This dashboard shows games being played throughout the day so you can choose which TV networks to prioritize or turn sound on for. Maybe I’m the only person on Earth who does that, but hey, it’s useful for me. 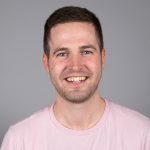 Again, the data has been updated for 2018, including KenPom predictions and thrill scores in Tableau tooltips.